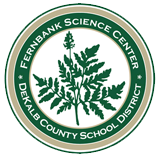 Fernbank Science Center programs are designed to supplement and enrich the classroom curriculum of the DeKalb County School District. The programs listed below are exclusive to the DeKalb County School District. The exception is planetarium lessons, which are available to all schools (public, private, home-shcool, etc.) regardless of affiliation. Click here for more information about school planetarium lessons. How do my students and I get a program? Each school has a Fernbank Science Center representative who is responsible for making an online programming request each semester for the entire school. Please provide your representative with your requests for this semester’s programs. Who is the FSC representative at my school? What determines whether my school gets a requested program? During the scheduling window, online request forms will be processed according to a randomized scheduling order. The list is created for all schools each first semester. (The same list will be applied in reverse order in second semester.) Once all of these forms are processed, request forms completed after the scheduling window will be processed in the order received. Your representative’s online form provides us a prioritized list of requests. Our goal is to give each DeKalb Elementary School two outreach programs per semester, this may take multiple visits for schools with more than 5 classes at a grade level. For middle and high schools the number of outreaches is a function of availability and the enrollment size of the school. Is there any cost to my school for these programs? All Fernbank Science Center programming is provided free of charge to DCSD schools. Fernbank Science Center will also cover the cost* of transportation for DCSD schools. Schools are responsible for obtaining buses through the normal procedure. After the trip has been completed, the school will receive an invoice from transportation for the trips to the Science Center. Upon receiving the invoice, it should be forwarded to the Science Center for payment. *This does not include field trips to Fernbank Museum of Natural History, which is not affilitated with DCSD. Outreach Programs are presented by a Fernbank Science Center instructor in your local school. The Fernbank instructor will be available to come to the school for the entire day (with a few exceptions, as noted). Single Visit Programs are presented at Fernbank Science Center or another teaching site away from the local school. You will need to obtain a bus for these programs. Click on the buttons below for programming at each each grade level. Full descriptions are available for each program by clicking on the program title. The programs listed for each grade level are designed to supplement instruction you have planned for your classroom. We encourage you to include them in your daily lesson plans. Review the program descriptions carefully. Each program description includes standards for the program which are aligned to the Science Georgia Standards of Excellence (GSE). The program description also includes the appropriate vocabulary for the lesson and some suggested pre-visit activities. If your school requires permission slips, make sure these have been properly submitted. If your program is outdoors, remind students the day before the program to dress appropriately. Most programs include follow-up activities that you can incorporate into your lesson plans. We may give or send you a form to evaluate the program. We appreciate your taking time to do this.